Patti Lupone comes to the Haymarket fresh from her acclaimed run in Company at the Gielgud! Tickets to see legendary actress Patti LuPone on sale now! From LuPone's humble beginnings in John Houseman's The Acting Company to becoming an overnight sensation as Evita on Broadway, from originating the prestigious role of Fantine in the West End premiere of Les Miserables to her groundbreaking, Tony Award-winning portrayal of Gypsy's Mama Rose, LuPone is a force to be reckoned with in the realm of Broadway and London theatre. The legend is currently captivating West End audiences in a gender-bender revival of Sondheim's acclaimed musical, Company. This one-off event with the one-and-only Patti LuPone promises to be an unforgettable night full of stories, insights and a few spectacular recordings that you won't want to miss! Patti Lupone in Conversation with Edward Seckerson is presented as part of the Theatre Royal Haymarket's 2019 Sunday Encounters season. 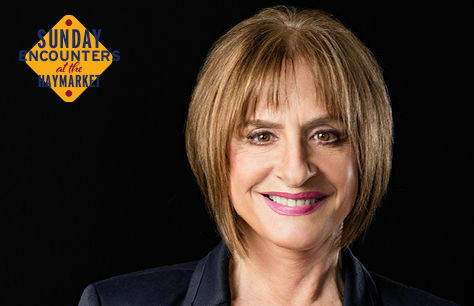 Patti Lupone in Conversation with Edward Seckerson tickets selling fast!